In this experiment, the servo is powered through 5 volts on the red wire, ground on the black wire, and the white wire is connected to a digital GPIO (General Purpose Input/Output) pin on which you can use PWM (11, 10, 9, 6, 5 and 3 on the RedBoard). //create a local variable to store the servo's position. When you use a library, you create what is called an object of that library and name it. This object is a Servo library object, and it is named servo1. If you were using multiple servos you would name each one in this way. 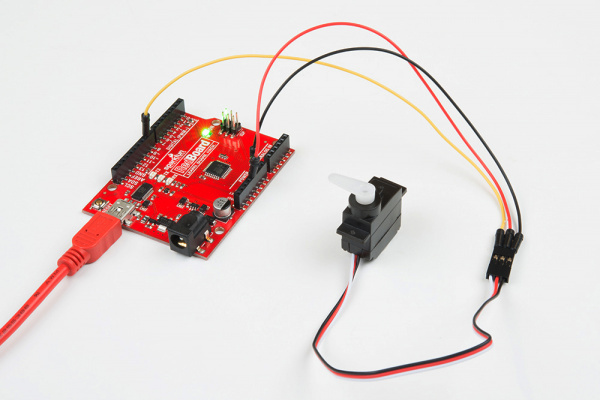 The Servo library adds new commands that let you control a servo. 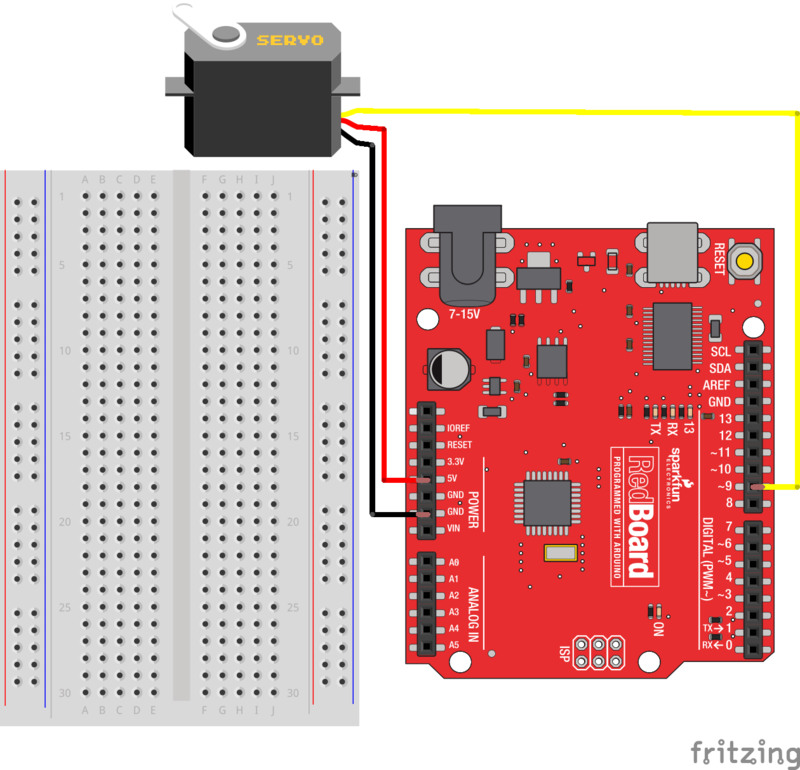 To prepare the RedBoard to control a servo, you must first create a Servo "object" for each servo (here we've named it "servo1"), and then "attach" it to a digital pin (here we're using pin 9). Think of this as the servo's way of calling a pinMode() function. The servos in this kit don't spin all the way around, but they can be commanded to move to a specific position. We use the Servo library's write() command to move a servo a specified number of degrees (0 to 180). 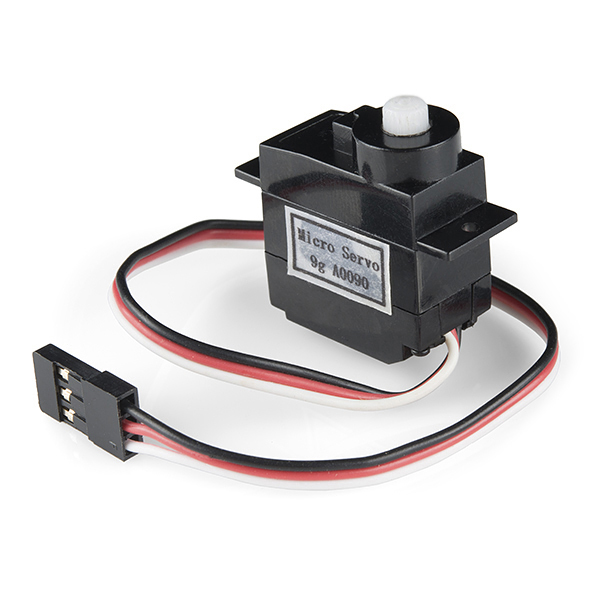 Remember that the servo requires time to move, so give it a short delay() if necessary. A mistake we made a time or two was simply forgetting to connect the power (red and black wires) to 5 volts and ground (GND). If the servo begins moving, then twitches, and there's a flashing light on your RedBoard, the power supply you are using is not quite up to the challenge. Using a wall adapter instead of USB should solve this problem.